Stephen King produced a winner here. You certainly didn't need me to confirm that. 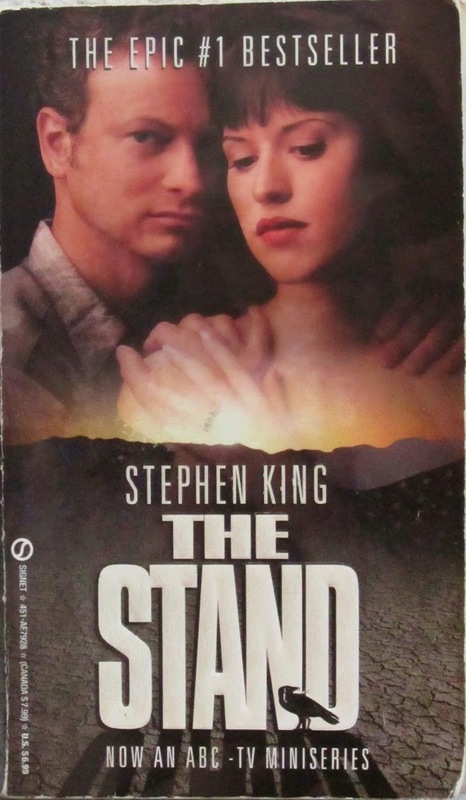 'The Stand' is an apocalyptic/post apocalyptic road story--exactly the kind of story I dreamed about writing as a teenager back in the 1960's - just the kind of story I have an insatiable appetite for. Too bad it was written by an icon of the Horror genre. King has to throw in plenty of those contrived horror-style frightening moments. You know - a character looks at a fluffy white cloud and starts imagining that it's a malevolent ghost or spirit come to haunt him/her, gets heart palpitations, sees eyes looking back and feels some unspeakable sense of terror and foreboding, eventually screams and runs, looking for somewhere to hide - oh, wait, it's just a puff of condensed water vapor. As you can see, I am no fan of the horror genre. Thankfully, 'The Stand' is not predominantly horror-oriented. I'd call it a dark adventure-fantasy that sometimes verges on a morality play. We pick up the story just hours after the accidental release of a government produced biological warfare virus called super-flu (and various other names). The disease is 99.9% fatal and kills within a few days. The story gels around the experiences of a number of survivors. King introduces a large number of completely disconnected story lines, so the book seems too disjointed at first. In this 'uncut' 1141 page version he also burdens the reader with way too many irrelevant anecdotal background vignettes for many of the characters. For me these became terribly tedious. Despite King's protestations to the contrary in an introduction written specifically for this expanded version, the added material does not improve the story or make it richer. If anything it does the opposite. This is one good book I can honestly say is NOT a 'page turner', and is anything but 'fast paced'. The main plot lines develop at a snail's pace. We eventually realize that the story centers on one man and one woman, Stu Redman and Fran Goldsmith and on two opposing quasi-human spiritual beings, the 108-year-old Mother Abigail and the apparently immortal Randall Flagg, representing the good and the evil impulses/guidance that tug at each of us. The one common experience of all the super-flu survivors is that they are haunted by virtually identical dreams in which the two spiritual antagonists beckon. All the separate story lines converge on these two as the survivors make pilgrimage to their respective centers of power in Boulder, Colorado and Las Vegas, Nevada. The story seems wonderfully poised for a grand confrontation of these two, but it never happens. Stephen King has written elsewhere that he suffered writer's block at this point in the story. I cannot believe he would have written this much without having had a firm conclusion in mind. But apparently he did not. Yes, the author himself seems to have lost the plot. Or lost his courage to exercise his imagination. The ending is rather disjointed and vacuous. It dissipates much of the potential that I was envisioning. A handful of characters from the 'good' camp travel to the 'evil' camp but accomplish nothing then either die or limp back home to Boulder while the two quasi-human spiritual beings meet their demise separately and without confrontation. What a disappointment. So, although I give this book five stars, it's really more like 4 1/2. It's an absolutely wonderful story despite the flaws, and I highly recommend it, yet it could have been so much better.